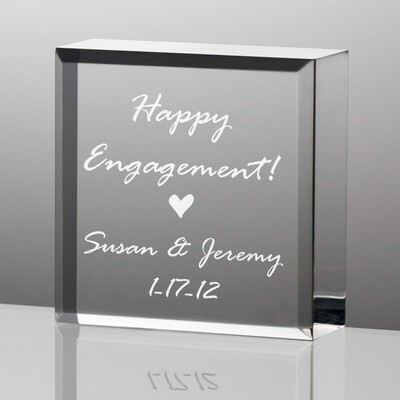 Personalize the Couples First Names (25 char. max) You have 25 characters left. 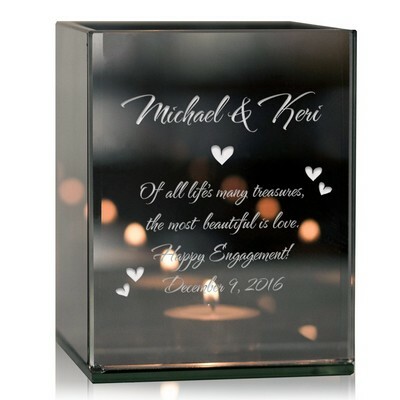 Mark the wedding celebration of a special couple with our elegant Acrylic Heart with Inlaid Quart Clock for a gift that will make a lasting impression. 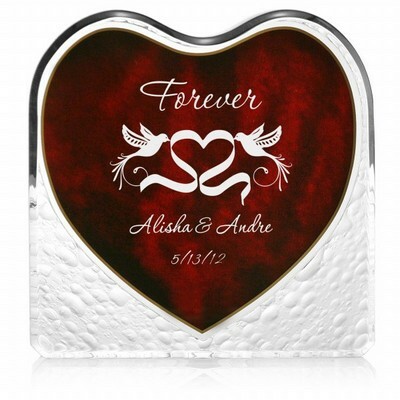 A stylish 5" x 5" x 1" design, this selection includes two inscribed intertwined hearts. 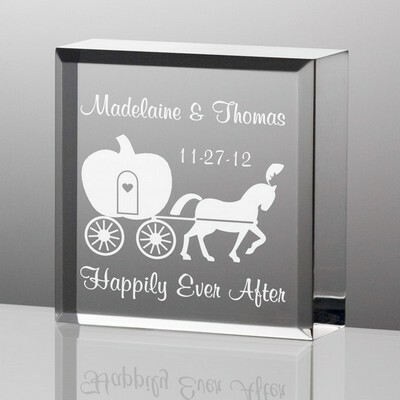 Crystal heart is fashioned of acrylic and handsomely displays a premium quart timepiece bordered in golden finishing. 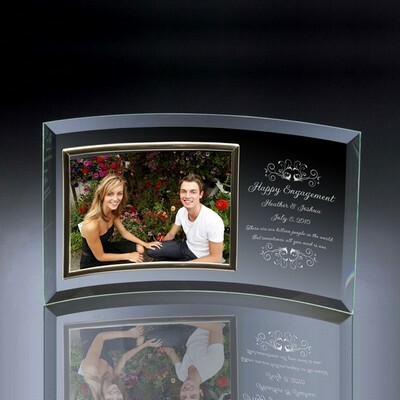 Make this a signature gift that will always be treasured by adding personalization in laser engraving to include a special message, the couples names and wedding date. 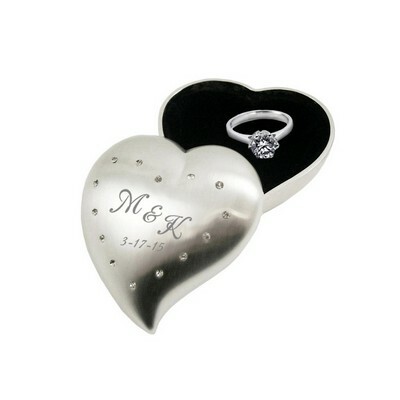 Personalize with a special message, couples names and a date. 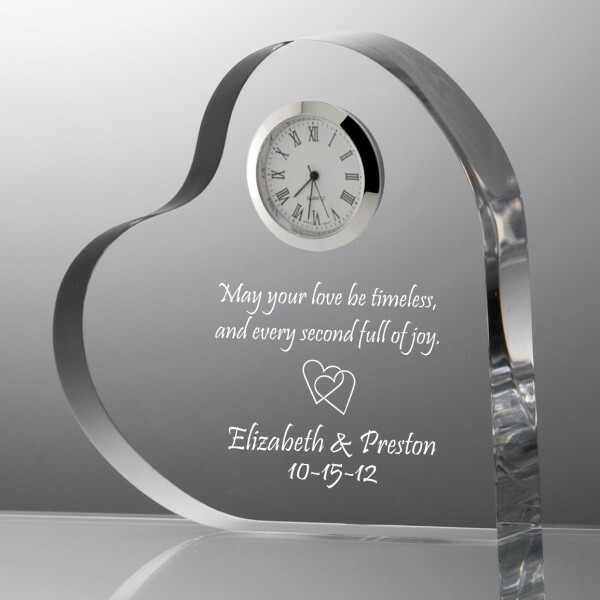 "Heart with Inlaid Quartz Clock"
Comments: We were very happy with your product. This is the second one I have bought of this item. They were Wedding Presents. Comments: High quality, beautiful and romantic. 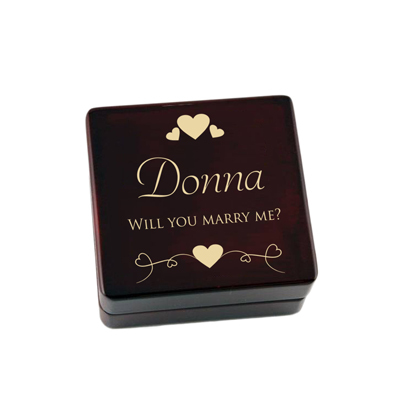 This is a great gift for a bedside table, mantle, or desk at work. Comments: I have ordered several of these clocks for different occasions - weddings - a doctor etc. and everyone loved their clock. Also, liked the fact there was such promptness in getting the order to me. "Heart with Inlaid Quartz Clock "
Comments: I purchased this for my husband and we both loved it. I will comeback again thank you.